Lakeland Child Support Attorney - Lawyer, Providing Professional Child Support, Divorce and Family Law Attorney legal services for Lakeland, Winter Haven, Bartow, Polk County, and the surrounding Central Florida area. Call 863.660.2185 to Speak with Lakeland Child Support Attorney / Lawyer, Joshua E. Schoen. Child Support is payment from one spouse to another for support of the children after a divorce or separation. Normally, child support stops when a child turns 18 years old, unless the child is still a full-time student. Child support cannot be discharged in bankruptcy and is not considered as income by the receiving parent or as a tax deduction by the paying parent. Under the law, child support is by no means considered disposable income for the parent receiving the child support to spend the payments anything other than the well being and needs of the child. In short, the money is for the child's needs, and not a parent or guardian's personal benefit. If it is discovered that their is a proven history that the child support payments are not being used for the benefit of the child, issues regarding the amount of child support or even who the child will primarily reside with in the future may be raised in subsequent family law hearings. Or mutually agreed upon issues that require additional funding. In the end, what is in the best interest of the minor child the main concern of the court. 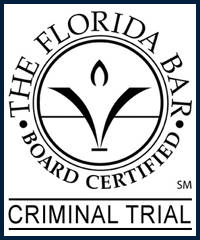 The attorney that represents you while work on your behalf to secure a court order for child support, as well as seek to have all relevant child support issues raised in an effort to ensure justification is warranted for an specific amount of child support to be paid in accordance with and outside of the normal parameters of Florida's Child Support Guidelines. Also of note, there are situations in which a court order may have to be requested to establish the paternity of the biological father. The attorney, lawyer, or law firm that represents you will work on your behalf in an effort to ensure you are not ordered to pay an amount of child support that is excessive in accordance with Florida's Child Support Guidelines. If after the original child support court order one or both of the parents of a child later seeks a modification from the court to the standing child support court order, your attorney will address the modification request in an effort to make sure your legal rights are protected by arguing either for or against the child support post judgment modification request, depending on if you are making the modification request or the parent who the request is is being made against. Protect your rights by seeking the legal advice and representation of an experienced Lakeland Child Support Attorney / Lawyer. Contact Lakeland Child Support, Divorce and Family Law Attorney / Lawyer Joshua E. Schoen at 863.660.2185 in the Lakeland, Winter Haven, Bartow, Polk County, and the surrounding Central Florida area.